Orlando, Fla. (Sept 4, 2015) — Performance Value Management, LLC (PVM) is the newest company to join the UCF Business Incubator’s Soft Landing program. Onelia Codrington, the President and CEO of PVM, said the nine year-old Fairfax, Virginia-based company specializes in Management Consulting, IT, Cyber Security, Training and Strategic Planning. “UCF’s leading role in helping to develop the Central Florida region’s simulation training industry along with the Incubator’s Soft Landing program were a big draw for us,” Codrington stated. PVM LLC is a U.S. Small Business Administration (SBA) 8(a) program participant and a Veteran Owned Small Business (VOSB) company and currently employs more than 10 specialists. The firm’s expertise includes continuous monitoring, forensic security and training Codrington added. “The Soft Landing program offers companies from outside Florida or the U.S. an opportunity to establish a presence in Florida, to take advantage of the incubation support network and bring jobs and economic activity here,” said Carol Ann Dykes site manager for the UCF Business Incubator in the Central Florida Research Park where PVM is a client. Performance Value Management (PVM) is a U.S. Small Business Administration (SBA) 8(a) program participant and Veteran Owned Small Business (VOSB) established in Fairfax, Va. 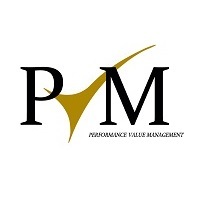 Founded in 2006, PVM offers a full range of management consulting, IT services and solutions, training, analysis and strategic planning services to federal, state and local governments as well as private-sector organizations throughout the United States and abroad. For more information, visit www.pvmcompany.com. With seven facilities throughout the region, the UCF Business Incubation Program is an economic development partnership between the University of Central Florida, the Corridor, Orange, Osceola, Seminole and Volusia Counties, and the cities of Apopka, Kissimmee, Orlando, and Winter Springs. Participating companies sustain more than 3,600 local jobs and have had a total impact of $1.51B on regional sales and $2.48B on regional economic output. During the last fiscal year, the program has returned $7.95 for every $1.00 invested in the program. For more information, visit www.incubator.ucf.edu.